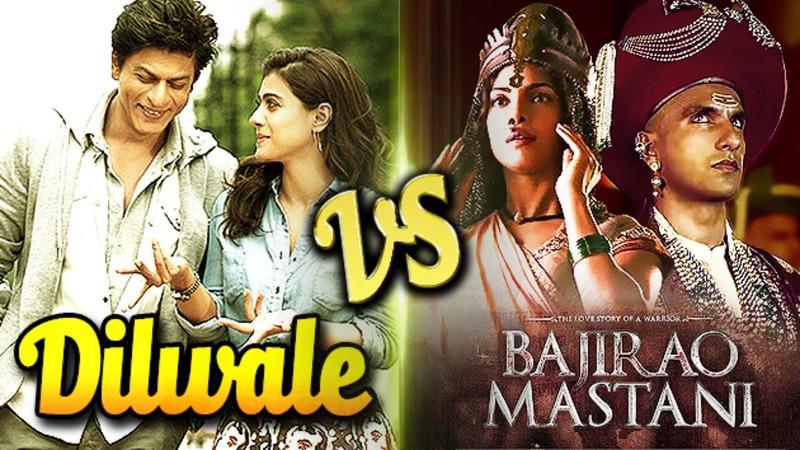 'Dilwale' vs 'Bajirao Mastani': Box office mess or win-win game? New Delhi, Dec 17 (IANS) Big budgets. Big directors. Big stars. With “Dilwale” and “Bajirao Mastani”, both much-awaited Bollywood cinematic extravaganzas, releasing together on Friday, industry experts believe the clash will have a strong impact on the overall collections of the year. However, it’s best not to expect a new record! “Clashes are obviously not great,” superstar Shah Rukh Khan, actor-producer of “Dilwale”, told IANS. SRK’s movies usually have record-breaking number of screens, but for “Dilwale”, he says he has only about 50 percent of them. He knows that his new movie “cannot” break records. “Both the films will undoubtedly have a great impact on the overall box office of 2015. However, as they are releasing together, screens would be divided and their business will get affected,” Mahajan told IANS. The distributors are hopeful of striking gold somehow.